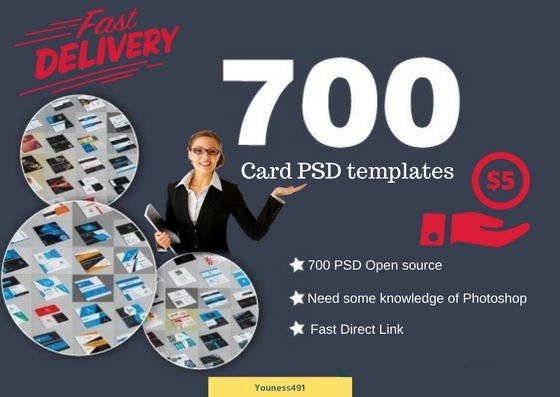 I will give you 700 Photoshop template very professional "Business Card" or Personal cards. - All templates are ready for change without any inconvenience or experience. Just open the template you want, enter your data and enjoy ! - PSD (all files are open source... Any version of Photoshop can open it).